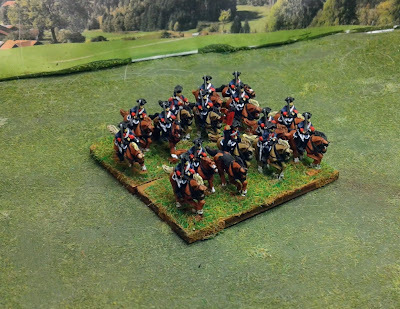 The third Dragoon regiment completed to bring parity between the Austrian and Prussian armies (for now). In this case the Zeibrucken-Birkenfeld Dragoons. 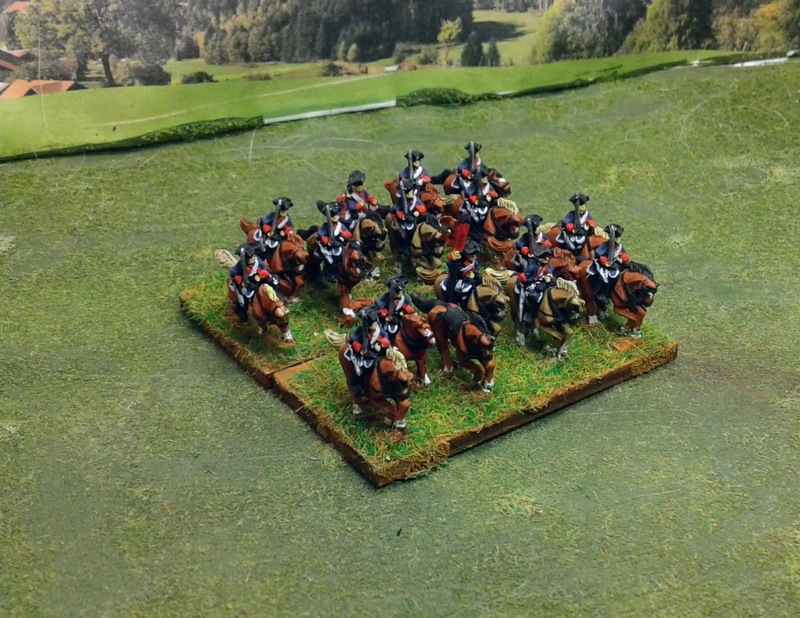 This group is very similar in appearance to the Kolowrat dragoons I did previously (blue vest/ white pants vs Red vests&pants) , so I decided to use a bright white for the pants and the edging of the horse blankets to make them stand out. They have my latest attempt at a hand painted flag, this time a Dragoon swallowtail. 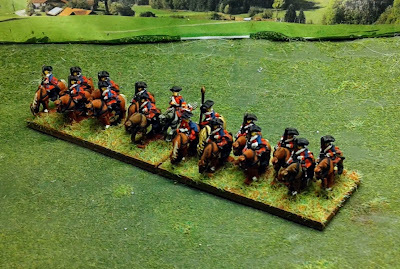 The big difference for this regiment is that the flag is red on one side and blue on the other, which is rather easy to make stand out. Still, don't look too close. Thanks, My own distractions are increasing. I am, however, approaching the point where I can play the sceneries I want to play. I am getting there. 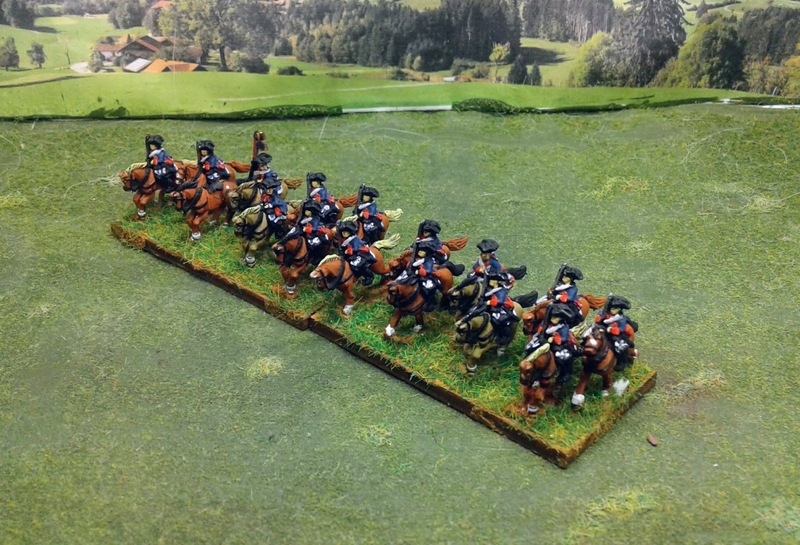 Less than ten units per side and then it is playable. Very nice additions to your massive collection of SYW figures! Thanks Dean. It seems to have grown faster than projected.